Joanne Palmisano is passionate about the joy and importance of reuse in home decor. Whether it's reclaimed, repurposed, recycled, salvaged, or antique, Joanne will show you how to turn an old piece into a stunning decorative object. Styling with Salvage is an essential guide for those who can't walk by a secondhand store or salvage yard without taking a peek, or who just want to decorate in a more mindful way. Joanne provides an aspirational-but-achievable template for all who wish to bring some character, style, and soul into their home. 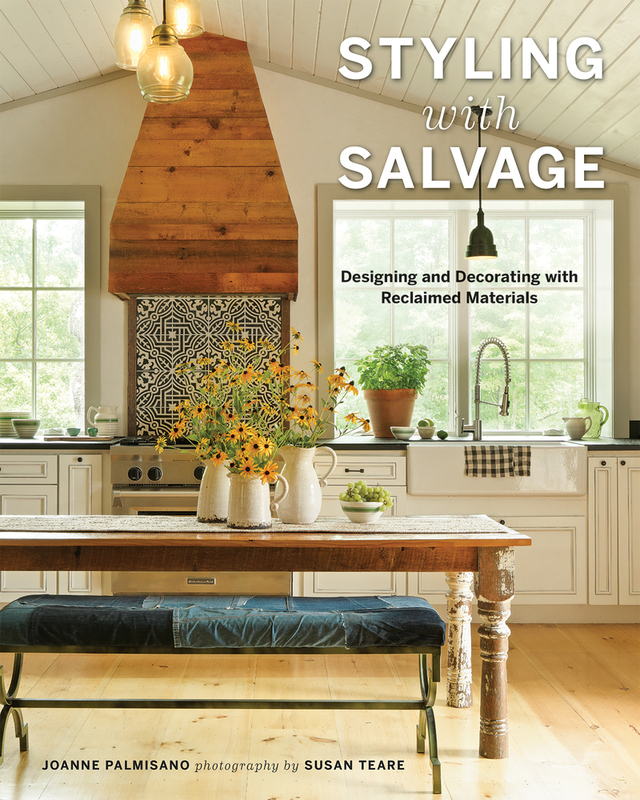 Filled with Susan Teare's gorgeous photography, this book will inspire everyone who picks it up to reclaim their spaces with reclaimed materials. Joanne Palmisano is an award-winning interior designer and stylist. She is a regular contributor to the DIY Network and lives in Shelburne, VT.
Susan Teare photographs residential and commercial architecture. She lives in Vermont and Colorado.